BaitRageous: To catch a fish! To catch a fish! 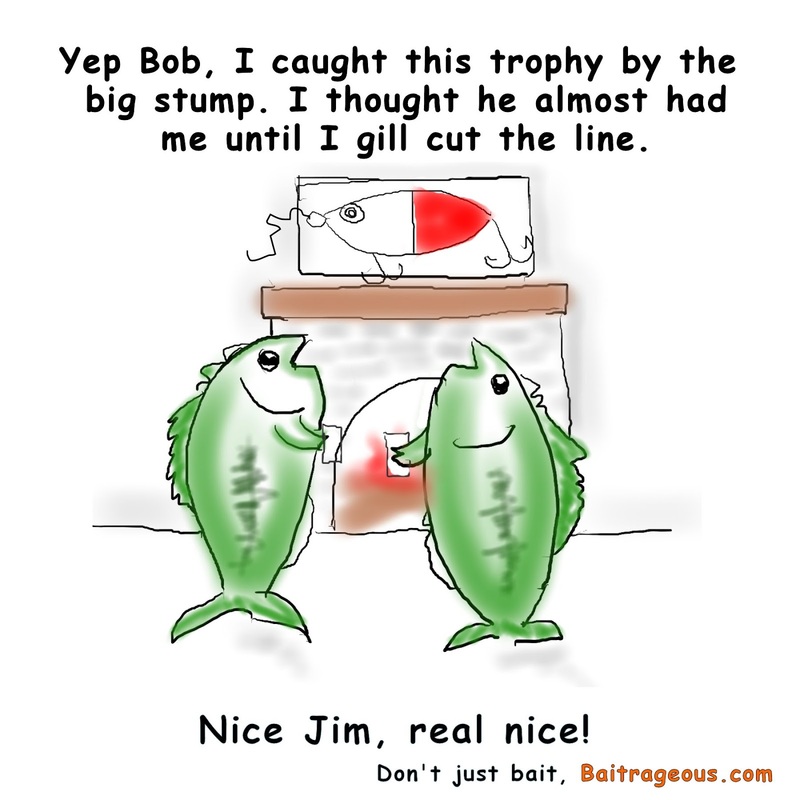 Another one of my fish cartoons from a fish perspective. I like it, he he he. Also, remember that life is short, get away from the big screen and get on a big stream! 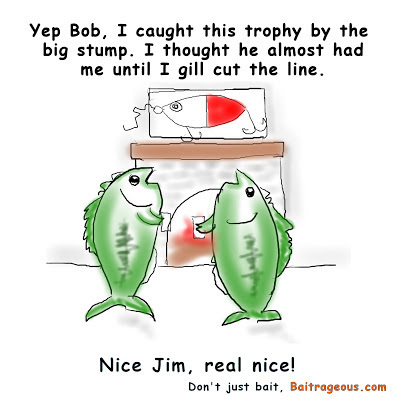 Even fish should have trophies. Sometimes I think fish are smarter than we are! WOW, a Fish swallowed a Fisherman !